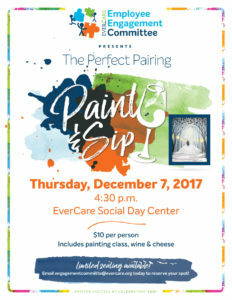 EverCare’s paint & sip party, The Perfect Pairing, on Thursday, Dec. 7 was a whole mess of fun! 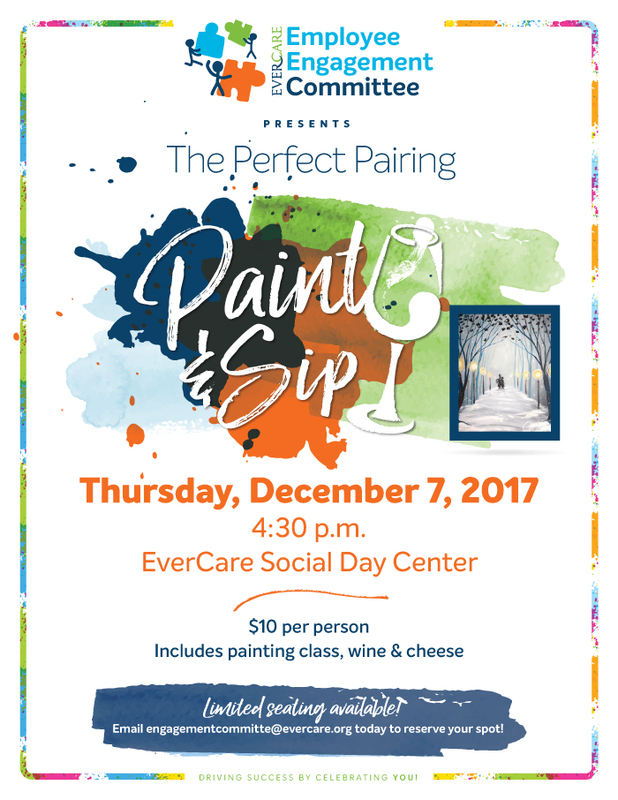 This deliciously amusing afternoon was made possible by our Employee Engagement Committee. Thank you everyone for coming and enjoying yourselves; and for those who missed it, we’ll see you next time!